We also realize that the process of applying to a higher education course can be a stressful experience, and is often a time for reflection of your life and your future goals. This is why speaking to someone who has already been on your intended path can be an invaluable source of advice and inspiration. Two of our friendly and professional staff have lived the life of an international student, and can draw upon their experiences to help you on your road to success. They can give you an idea of the great experiences which lie ahead of you, the challenges you may face, and how to carve out a portfolio of academic achievements that you can be proud of. We will sit with you and discuss your career pathway, and guide you in creating a highly individualised personal statement, which reflects your achievements, your reasons for wanting to do the course you are applying for, and what you intend to do after you have gained your valuable qualification. This will not only prove invaluable to the decision makers at the institution you wish to apply for, it will also help you in developing a solid career plan that you can refer to. We efficiently process university applications through complex procedures and a maze of formalities. Having acquired skills and experience in the management of applications, our clients receive expert advice and meticulous monitoring of their application throughout the entire process. We will assist you in applying for the student visa, making sure you have all the documents that the case worker needs to grant you the visa, but please note that granting of visa is on the sole discretion of the visa officer. CFE will assist the candidate in airline ticket booking through different travel agencies at a discounted rate. Travel arrangements, foreign currency, insurance, bank account in foreign country, mobile phone service in foreign country and other facilities as well will all be taken care of by us. CFE will offer post-arrival assistance if you need it. Our consultants will be in touch with the university’s student support services to make sure you are received from the airport on arrival and we will make sure we keep contact with you until you have settled and even help you with transfers if needed. Our friendly and professional team will be always there for you when you need any assistance. CFE will endeavour to offer assistance with finding accommodation options for you to make sure you are safe and secure once you enter the country. CFE will advise you on all the options for either on-campus or off-campus accommodation based on your preference and budget. Usually first year students are advised to choose university or college-owned and managed accommodation – a good way to meet peer learners and access the support for first year students that your chosen university or college has. Whilst the largest number of first-year students live in halls, some prefer smaller, self-catering properties with a shared kitchen, toilet, bathroom and possibly a lounge area. University properties are often in or near the campus and so travel costs to and from the university are minimal. If you are going to study in the UK, you´ll need to open a bank account. You should do this as soon as possible, ideally with a bank on campus or nearby. Many banks offer special student facilities and have financial advisers to help you organise your account. 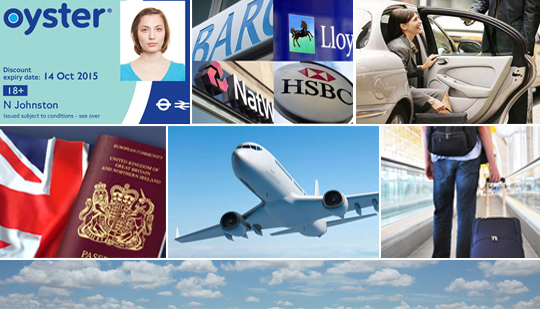 Many banks in the UK also offer on-line banking which you may prefer to use. We can assist you telling what documents you need to open a bank account.